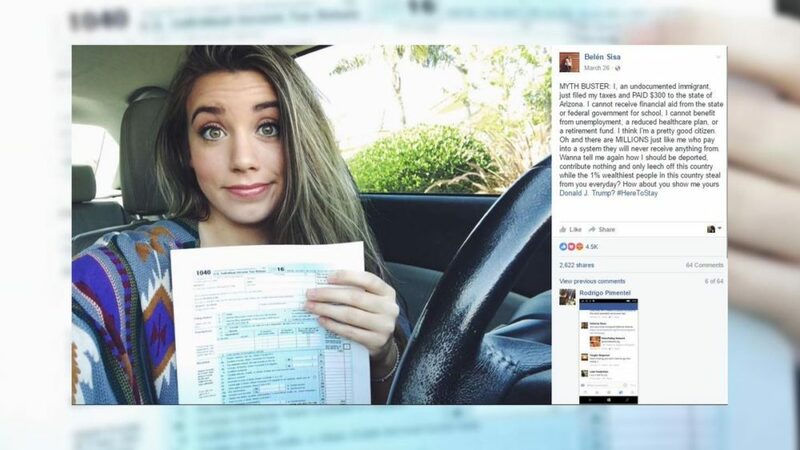 “Dreamer” Shares Pic Of Tax Return To Show She’s A Good ‘Citizen’ – IMMEDIATELY REGRETS IT! Arizona State University junior, 23, Belen Sisa was born in Argentina, but came to the United States on a ‘family trip’ at 6 yrs-old. 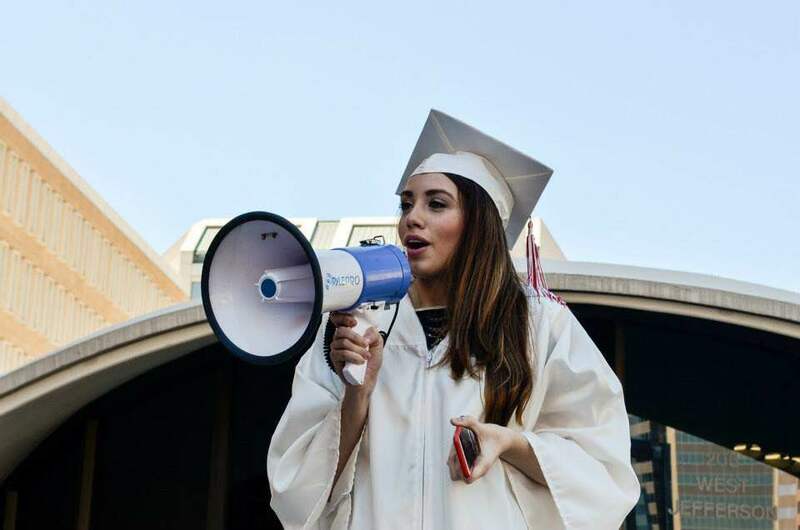 Belen is a ‘dreamer’ – her parents ILLEGALLY overstayed their visa after visiting the US from Argentina when she was still a youngster – that protects her from deportation by President Obama’s Deferred Action for Childhood Arrivals program. Okay, she nearly grew up in the United States, so she gets to stay. But based on her snotty condescending posts on social media designed to slap the hands of taxpayers in America, she couldn’t have made herself appear further from a good cultured American. Read her post below and she proves herself to be a rude Argentinian who wants to weave a story that just isn’t the whole truth. 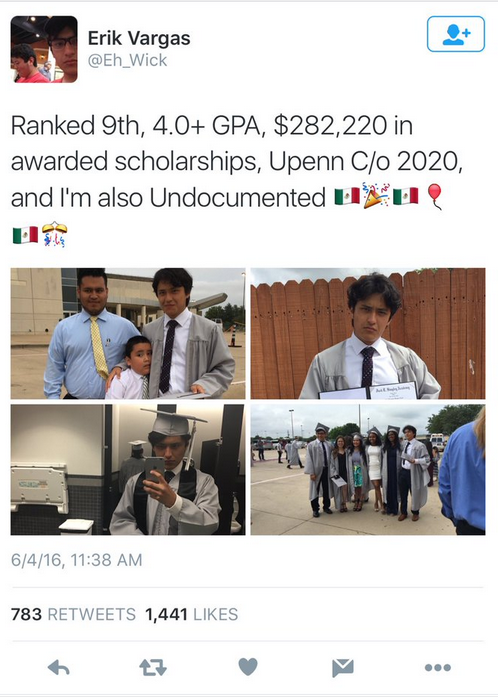 She posted a picture of her 1040 claiming that she indeed paid $300 (I wish I had HER taxes to pay) in an attempt to teach Americans ‘What you’ve known all this time isn’t the truth.’ As a ‘Dreamer’, she is allowed to live, study and work in the US free from the threat of deportation for a specific renewable period of time, despite not holding a visa or green card. 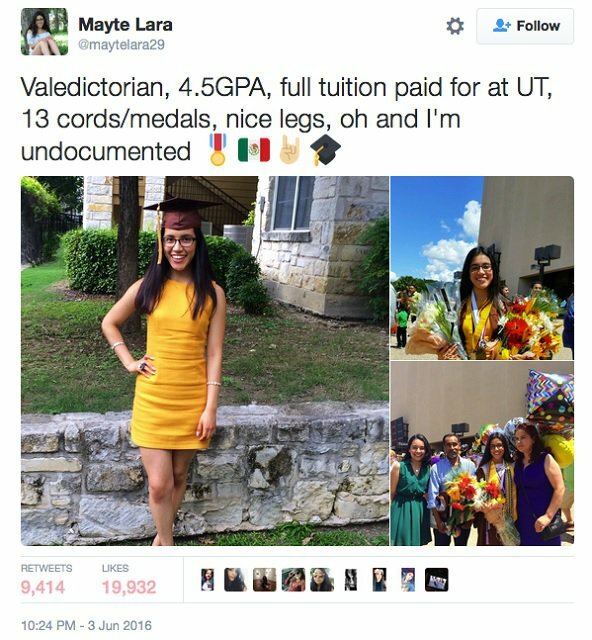 She feels misunderstood and mistreated as an undocumented immigrant (which she technically isn’t undocumented, she speaks for ‘dreamers’, not all illegals). The student said in her impassioned Facebook post: ‘MYTH BUSTER: I, an undocumented immigrant, just filed my taxes and PAID $300 to the state of Arizona. ‘I cannot receive financial aid from the state or federal government for school, I cannot benefit from unemployment, a reduced healthcare plan, or a retirement fund. I think I’m a pretty good citizen. ‘Oh and there are MILLIONS just like me who pay into a system they will never receive anything from. She signed off by mentioning President Trump and using the hashtag ‘Here to stay’. She basically told a couple truths woven with some lies. Maybe she learned that from working as a page for the Arizona delegation to the Democratic National Convention last summer. As a politically active student who works for the DNC and even worked as a Field Organizer for Bernie Sanders, she is required in such visual jobs to pay taxes (if she wanted to continue working in high profile jobs), the majority of ‘undocumented workers’ don’t. I am friends with many of them. I have had rides in their massive SUVs they paid cash for and watched movies on their mega TVs paid for in cash… I know for a fact that they are getting paid cash under the table, collecting from assistance programs and NOT, I repeat NOT paying taxes. But to Belen, this became an opportunity to promulgate a lie that she and any ‘undocumented immigrant’ could NEVER qualify for any taxpayer money and that they pay taxes in general. But those are straight lies. She’s a minority of minorities so to speak. No FREE Education: According to StudentAid.Gov you CAN qualify for tax-paid assistance just not regular Federal Aid. Q: As an undocumented student or DACA student, am I eligible for federal student aid? A: No, BUT you may be eligible for state or college financial aid. In some states, undocumented students, or specifically DACA students, are eligible to receive in-state tuition. Also, If your parents did not file their income tax returns with the IRS, you can enter the requested information manually on the FAFSA website. When federal lawmakers wrote the act overhauling the nation’s health-care system six years ago, they ruled out any possibility of extending health insurance to illegal immigrants. Many counties across the nation treat them anyway with free care. Even according to Healthcare.gov, lawfully present immigrants DO indeed qualify for coverage through the Health Insurance Marketplace. As a ‘Dreamer’, Belen is considered a lawfully present immigrant so is eligible.